We are gearing up for an epic fall season of running! Get ready to try new things, have amazing experiences, and explore nature! It’s time to Go Outside and Do Things! Check out our full list of events, and get ready for the experience of a lifetime! YOUR Trail Outfitter - Fleet Feet + FrontRunner - Run by to get outfitted for your next adventure. From trail shoes, Squirrel Nut Butter, Headlamps, Hydration Packs, and more, we have the gear you need to seek our adventure! Every Tuesday Night! - Rocks and Roots Trail Run - Join Fleet Feet Trail Running legend, Ryan Moran, and a cast of others every Tuesday night for a fun night on the trails! We run on the Rocks And Roots Trail a Time alum Creek that our non-profit RnR Trail Association Build and maintains. RSVP here! December 11th - Hoka Trail Run, Shoe Demo, and Beer with Olentangy River Brewing Company - We are kicking things off Tuesday night with a trail run at Highbanks. Come take the Hoka Speedgoat, Torrent, and Mafate for a spin alongside Hoka Athlete, Sabrina Little. Hang out for the campfire for a bit before heading over to Olentangy River Brewing Company for some tasty brews. The fun gets started at 6:30pm at Highbanks! Click here to RSVP! December 12th - Trails In Motion Film Festival - Join us at Studio 35 in Clintonville for The Ledlenser Trails In Motion Film Festival is an annual international film tour for the community, by the community, bringing a collection of the finest trail and ultra running films to passionate audiences around the world. Join like-minded trail runners and adventure sports enthusiasts at engaging film festival-styled events as they come together to celebrate the diverse culture of the sport. The first 100 to purchase their tickets recieve a FREE Go Outside and Do Things Pint! Individual passion, devotion and community are central to the theme of the 2018 Ledlenser Trails In Motion Film Festival line up. Each film offers an exciting and inspirational view into the world of trail and ultra running, all the while showcasing some of the planet's most breathtaking trail running destinations in the process. Get your tickets and join like-minded trail runners and adventure enthusiasts for 2 hours of inspirational trail and ultra running content. Tickets available NOW! Tickets are limited to the first 250, and all ticket holders receive a Go Outside and Do Things Pint Glass to fill with tasty beverages at Studio 35! December through February - Fleet Feet Trail Crew - Gear up and train with dirty trail runners like yourself for the Rocks and Roots Winter Trail Series! Join us as we train for the next trail race on the Rocks and Roots Trail at Alum Creek! The next season begins December 1st! The group hosts two organized workouts per week, on Saturday mornings at 7am, and Tuesday evenings at 7pm! We offer training programs from 10K to 30K, and will support those of your crazy folks training for a 50K as well with a training plan, but you may run a few solo miles ;) Sign up today! January 6 & February 10 - Rocks and Roots Winter Trail Series - Featured as one of Trail Runner Magazines Winter Warrior events we annually host over 400 runners at each of the winter races. Choose form any distance from 10K to 50K and explore the only trails built for runners by runners! 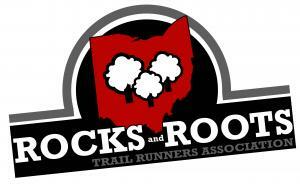 In partnership with ODNR the Rocks and Roots Trail at Alum Creek was built by the Rocks and Roots Trail Runners Association, founded by Jeff Henderson, Ryan Moran, and a cast of dirty trail runners. Join us this winter and test your spirits on the course that is sure to challenge you, humble you, and show youa hell of a time! Register here! Coming Next Summer! Firefly 50s Overnight Trail Race At Alum Creek! Run with the fireflies all through the night! This race will challenge your stamina, play nasty tricks on you mind, and show you one of Mother Nature’s grandest light shows! More details coming your way! Stay tuned!